The Romero families directorial legacy continues with son following in his father's footsteps. G. Cameron Romero (Staunton Hill), son of George A. Romero (Night of the Living Dead) announced today that he has launched his campaign on Indiegogo, for Origins, the genesis story of the first Romero zombie in his father's iconic masterpiece Night of the Living Dead, with a goal of $150,000 for pre-production costs. Set in the turbulent late sixties, the film tells the story of a brilliant scientist - Dr. Alan Cartwright - who strikes a deal with the military that will give him all the resources he needs to finalize his work in exchange for what he later learns is a price all mankind will have to pay. 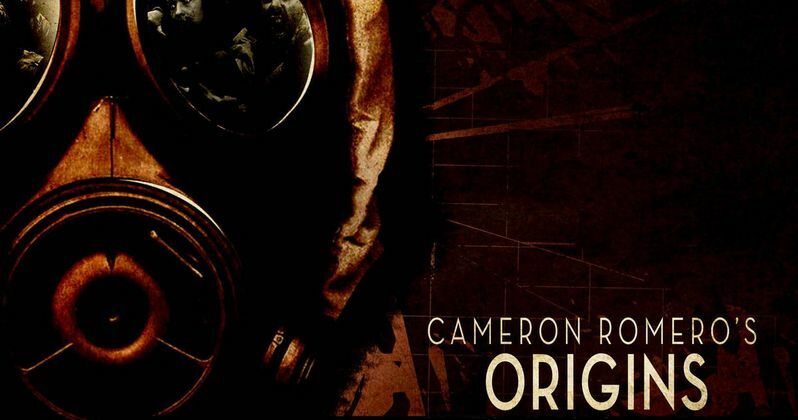 Here's what director G. Cameron Romero had to say in a statement about Origins. "I feel carrying on my dad's legacy is something that I not only want to do, but it's something I HAVE to do, because I, like all my dad's fans, was raised on his creation." Producer Darrin Reed (Lila and Eve) had this to say in his statement. "The origin story deserves to be told by someone who passionately loves and has a unique insight into the original movie and nobody has that more than George's own son." Through rewards for contributing to the campaign, legions of fans will have the unique opportunity to participate in the making of the film by being part of a 'brain trust' that will be polled to help answer questions during the pre-production of the film. Other perks include items such as signed 'legs' and 'arms', the ability to visit the set, and perhaps most enticing of all - being in the film as a zombie and killed on camera. Bloody Disgusting, the most well recognized name in horror news is featuring Origins through its partnership with Indiegogo. This historical relationship marks the first time that a horror site has partnered with a crowdfunding platform. The beginning of the Origins campaign will be celebrated with a launch event in Los Angeles on Oct. 15th and will run for thirty days. The campaign is already gaining support from companies such as Cold Steel, the Zombie Apocalypse Store, Dogfish Head Brewery and others that have yet to be announced. Released in 1968 and directed by George A. Romero, the original feature is credited as being the first zombie film, which went on to spawn five Romero sequels over 40 years of cinematic history. Ripe with political commentary both on race and the Vietnam War, Night of the Living Dead has endured generation after generation and has inspired such acclaimed filmmakers as Quentin Tarantino and Robert Rodriguez. In 1999, the film was added to the Library of Congress' National Film Registry and has been on multiple AFI Top 100 lists. It was distributed by the The Walter Reed Organization, and though the film's copyright fell into public domain along with its zombies, the Romero name and legacy has endured. And now with Origins, the legend will continue. Take a look at the introductory IndieGogo video with director G. Cameron Romero and the poster below.